Pictures! Of things with “feathers”!! 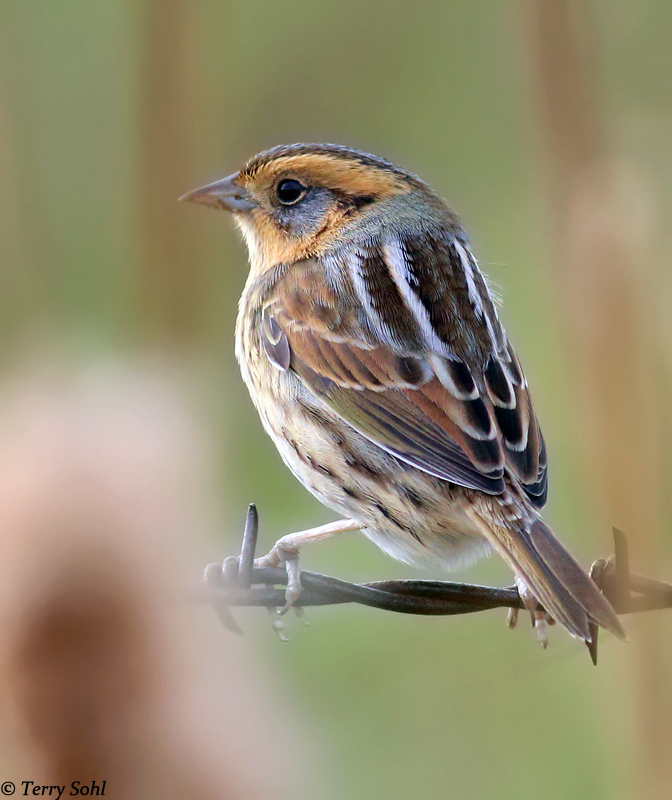 A Nelson’s Sparrow, one of the rather elusive “skulkers” that moves through the area in the fall. For a website that started out as a place to share my bird photos, it sure seems like it’s been a long time since I’ve actually posted any bird photos. Snakes? Check! Insects? Check? Even an aurora? Check!! But photos of creatures with feathers haven’t been very prominent lately. It’s not like I haven’t been out birding. Since late May, I haven’t birded as much as I would over a normal summer, but I have been out on occasion. I truly haven’t had much luck getting good photos though. Part of the issue is 1) my reluctance to shoot (yet more) photos of species that I already have many photographs, and 2) a higher standard for what constitutes a “keeper” photo. In bird photography, it’s inevitable that you’ll toss most of your photos (dang things don’t sit still and pose for a nice picture! ), but I toss more photos now than I ever have. 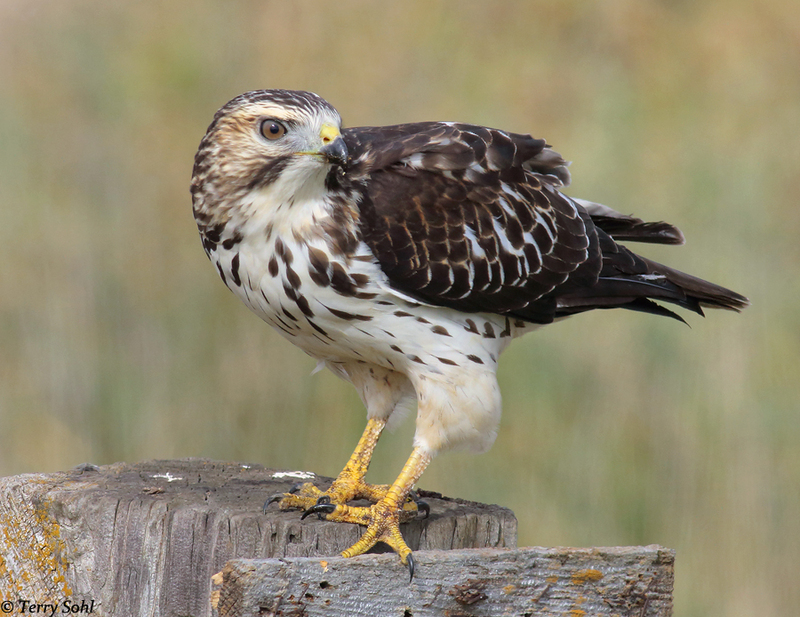 A Red-tailed Hawk, busy feeding on grasshoppers. 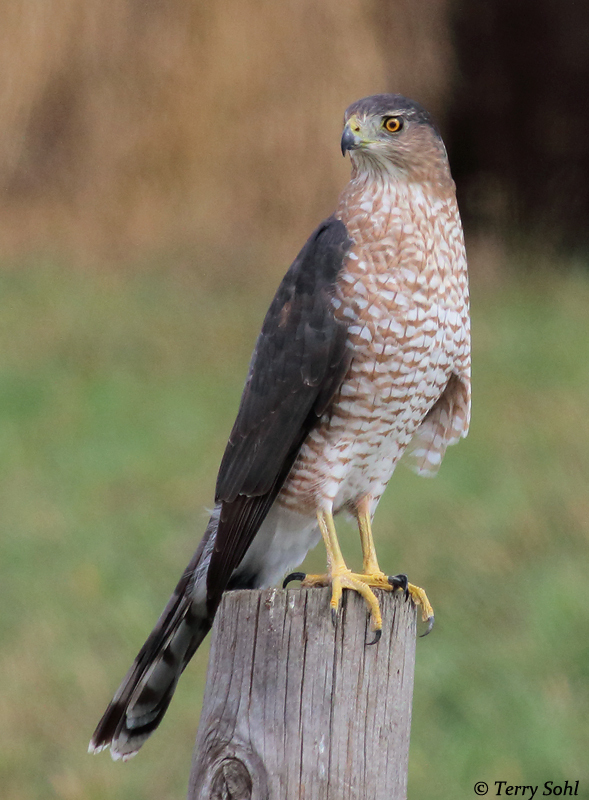 This guy was gorging, looking down from this fence post, dropping down to grab the sluggish fall grasshoppers, coming back to the post to consume it, and then looking for another. I spent time birding and taking photos the last couple of days, with the intention of actually getting photos “good enough” to put on my website. Mission accomplished! I really love birding in the fall. 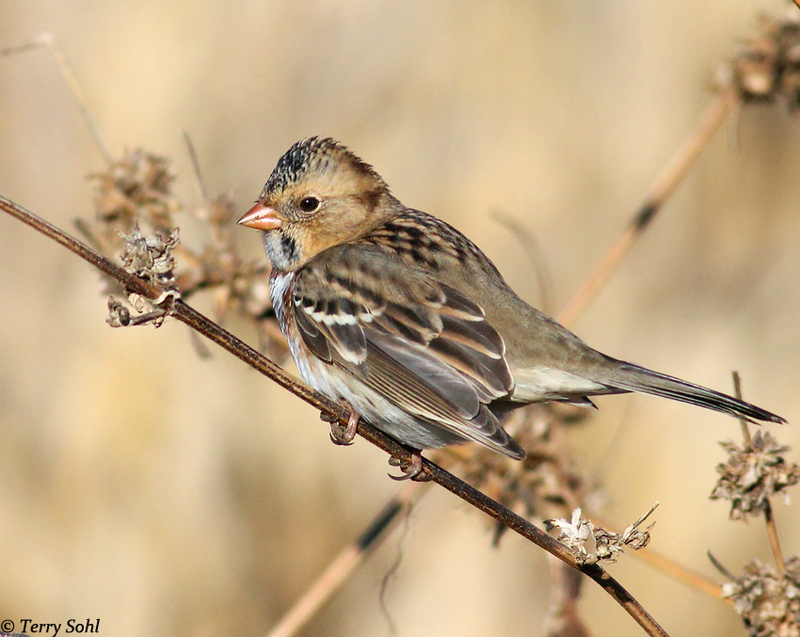 While May is a magical month for warblers and other migrants that move through, October is a month for sparrows! Sparrows aren’t exactly high on the “must see” list for most people (even many birders), but there’s a wonderful variety that moves through in the fall. Despite the tendency for most people to think of sparrows as rather drab birds, there are also several with truly beautiful plumage. One of the highlights in the fall for me are finding Le Conte’s and Nelson’s Sparrows. Neither breed in my part of the state, and I never seem to be able to find them when they move north through the area in the spring. However, I have multiple locations where I’ve had great luck finding them in the fall, particularly Le Conte’s Sparrows. 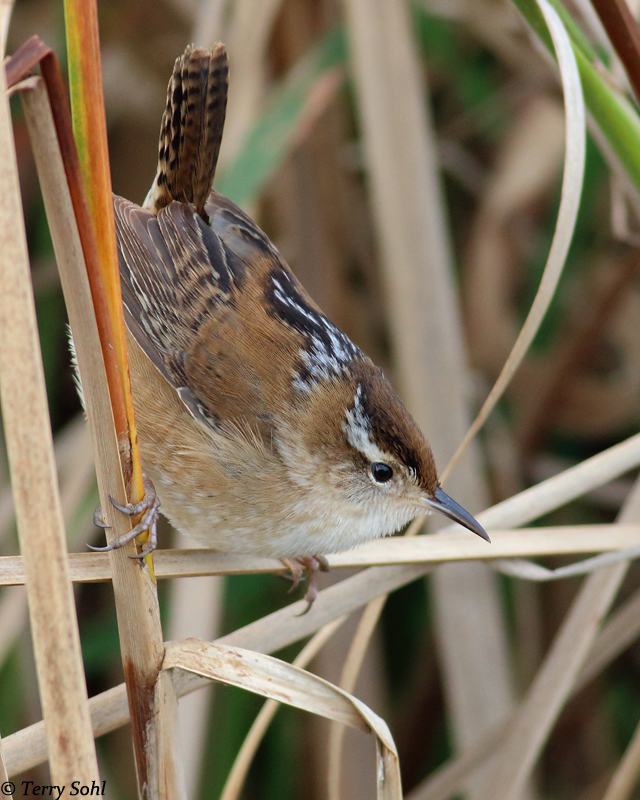 The species is highly sought by many birders, having a reputation of being “skulky” and difficult to find. They definitely do stick to thick vegetation, usually in thick wet meadows or along the edges of wetlands, but with patience, you’ll usually get some good looks of them as they forage and go about their business in the fall. 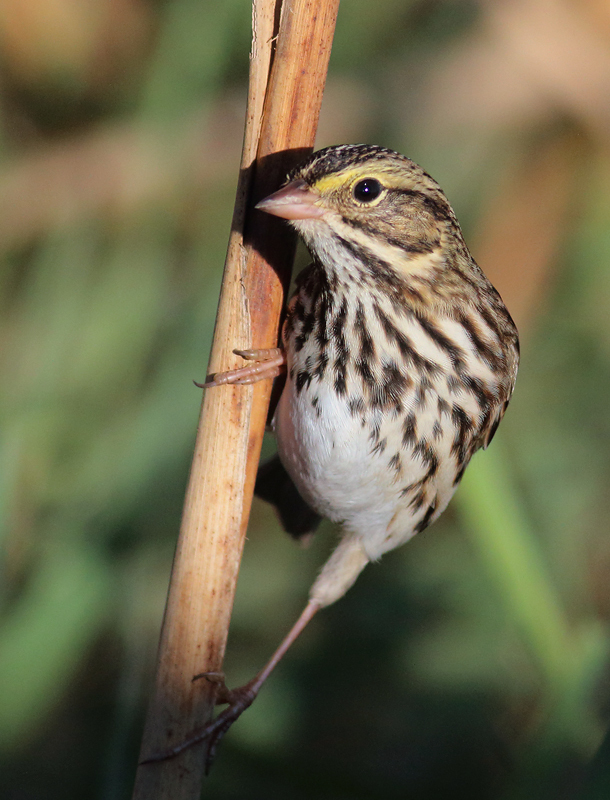 One of the more common sparrows moving through in the fall, a Savannah Sparrow. You often see loose collections of a few dozen birds at this time of year. Raptors can also be fun in the fall, typically not so much for variety of species in this part of the state (southeastern South Dakota), but in terms of sheer number. You tend to see concentrations of American Kestrels, Red-tailed Hawks, and a handful of others as they move through in the fall. It also tends to be a pretty good time for photographing them, as many are first year birds that tend to not be as spooky as older birds. Note although it’s likely too early, I spent some time this weekend bushwhacking through cedar thickets, looking for early arrival Northern Saw-whet Owls. No luck! But I am looking forward to their arrival. One of the few bright spots of a chilly South Dakota winter! As always, click on the images for larger views. Next Post: “Longmire” disappoints! Episode 43 TOTALLY unbelievable!